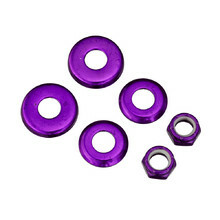 Bushing washers are special washers in the truck, where the bushings are placed. 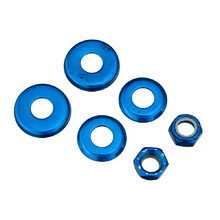 The washers help keep the bushings in the correct place and prevent their damage when you’re tightening them or riding. They also increase wheel rotation and decrease friction.